Are you tired of hiding your smile in the holiday photos each year? If you’re not satisfied with the appearance of your teeth, Long Family Dental has a quick and cost effective solution that will make you the life of the holiday party this year. Whitening your teeth can make a huge impact on your smile and even take years off of your appearance. Consider teeth whitening in Midlothian for the holidays. 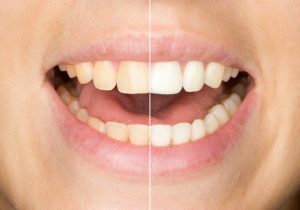 It’s very natural for our teeth to discolor over time, and whitening your teeth can combat the effects of food, age, and lifestyle choices. At Long Family Dental, we offer patients convenient take-home whitening trays that we custom design for you based on impressions we take of your teeth. We’ll create clear plastic trays that fit snugly to protect you from excess whitening gel. You’ll receive a crash course on safely applying and using the gel and you’ll be on your way to a whiter, brighter smile in no time. We recommend that you whiten every day for two weeks initially to achieve your desired results. After that however, you’ll always have your whitening trays and we sell whitening gel at our office, so you can update your smile anytime you like, or before that family holiday photo. Long Family Dental offers much higher strength whitening gel than you can purchase at the store, which means quicker results. We customize your trays for a snug fit that protects your gums and soft tissues from excess whitening gel. Drug store products are one size fits all. It’s always safer to whiten your teeth under the supervision of your dentist in case you encounter issues with sensitivity. Over-the-counter products are typically designed to whiten only your sight line, or front six teeth. This may not achieve the results you were hoping for. Don’t avoid another family photo this holiday season! Contact Long Family Dental to learn more about how we can help whiten and brighten your smile.